The British Council for Chinese Martial Arts (BCCMA), as the Sport England recognised National Governing Body (NGB) for Chinese martial arts, is committed to safeguarding all participants in Chinese martial arts. Our focus is to ensure that policy, practice and learning opportunities are in place to enable all those participating, and in particular children and vulnerable adults, to have a safe and positive experience. Our aim to ensure that any forms of abuse and bullying behaviour are not tolerated in the Chinese martial arts setting; and are appropriately challenged and addressed, in line with safeguarding policy and established regulations and procedures. The BCCMA’s Child Protection and Safeguarding Policy sets out our current policy and delivery approach to child protection and safeguarding in Chinese martial arts. We review our policy to ensure that the BCCMA is at the forefront of best practice in child protection and safeguarding and to update in line with changes in government policy and legislation. The BCCMA is committed to the safeguarding, care and development of our members and the Chinese martial arts sector within our defined coach to participant ratios. We will carefully select, support and train all those with any responsibility within the BCCMA in line with safer recruitment principles, including the use of criminal records disclosures and registration/membership of the relevant vetting and barring schemes. We will respond without delay to every complaint made, that any adult, child or young person may have been harmed, cooperating with the police and local authority in any investigation. We will seek to offer informed support to anyone who has suffered abuse, developing with them an appropriate assistance that recognises the importance of understanding the needs of those who have been abused, including their feelings of alienation and/or isolation. We will seek to protect survivors of sexual abuse from the possibility of further harm and abuse. We will seek to offer support, including supervision, and referral to the appropriate authorities, to any member of the Chinese martial arts community known to have offended against a child, young person or vulnerable adult. The BCCMA take safeguarding and the safety of its members extremely seriously. We welcome all practitioners of Chinese martial arts to join us, to ensure that appropriate and proportionate measures are in place at your schools, clubs and associations, to keep all participants, and in particular children and vulnerable adults safe from harm. Further to our policy review in March 2018, the BCCMA are working with Safeguarding Children in Martial Arts (SCiMA) to provide a child protection and safeguarding online learning and development offer, to complement the safeguarding seminar and coaching programme already available. The SCiMA innovative approach enables martial artists to understand safeguarding issues within the martial arts context making the training far more relevant for martial arts than generic training. The BCCMA are working with SCiMA to ensure that all members have access to online learning and development as well as webinars, seminars and training for a range of safeguarding issues including: how to respond to a disclosure of abuse, safer recruitment, safer participation, safeguarding vulnerable adults, preventing bullying behaviour and first aid essentials, as a minimum requirement. To find out more about SCiMA and to register for the online learning visit the SCiMA website. The government has introduced a new safeguarding code for martial arts in response to the duty of care and abuse crisis which has swept British sport over the past two years. 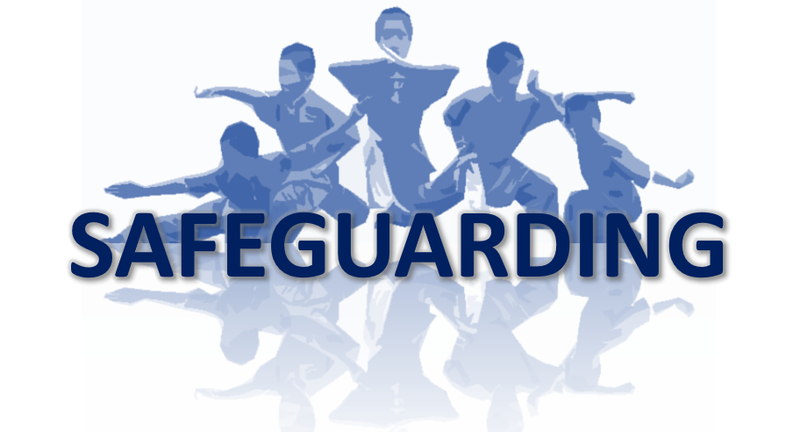 There had previously been no overarching safeguarding code for martial arts, which is governed by many different bodies. This voluntary code will go live in June 2018. All martials arts coaches, whatever your discipline, are encouraged to sign up. This is most welcome and appropriate in the current environment. The BCCMA has made a pledge to follow the government’s Safeguarding Code in Martial Arts. This pledge demonstrates that the BCCMA takes the issue of child protection and safeguarding in martial arts seriously, and is committed to supporting schools, clubs and associations to fulfil their responsibility to safeguard participants adequately. Aligned to our policy to safeguard children and vulnerable adults, the BCCMA offers a DBS checking service to members who are engaged in frequent or regular contact with children and vulnerable adults in their martial arts setting. The service will enable members to obtain a DBS enhanced check. You can register and then arrange for your identification documents to be validated by the BCCMA verification officers either by post or at the DBS Checking Desk at national events. You will need to bring certain forms of identification which meet the DBS requirements which are provided in our Safeguarding Update May 2018. The BCCMA Safeguarding Directorate – rob.simpson@bccma.com. If you believe that a child or vulnerable adult is at immediate risk of harm or abuse or requires medical attention, then dial 999 and contact the emergency services and follow any advice given. As soon as possible, but within 24 hours, follow the recording and reporting steps set out in the BCCMA Child Protection and Safeguarding Policy.